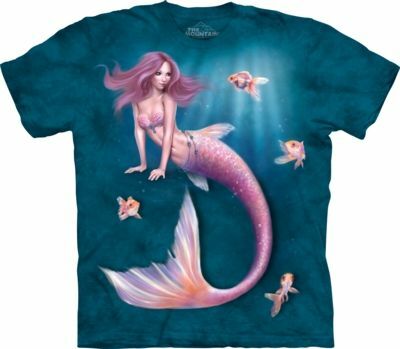 Under the sea you'll find fish and if you're lucky a mermaid. 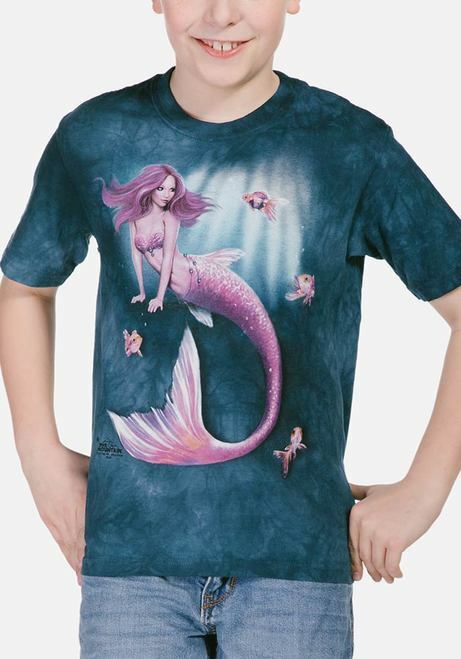 Children will love this fantasy tee from The Mountain® featuring a pretty mermaid surrounded by gold fish. Artist Corner: Rachel Anderson is an American artist that is renowned for her fantasy artwork, especially with fairies, unicorns and mermaids. Her artwork can be found on t-shirts, greeting cards, figurines and other mediums.